Blood cells join together to form clots when the blood moves slowly through the veins. 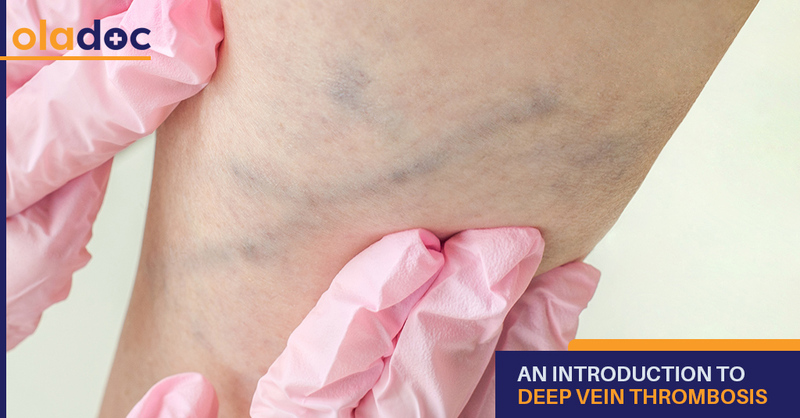 When formed in the legs, these blood clots cause a condition known as ‘Deep Vein Thrombosis (DVT)’. DVT clots are located in the veins embedded deep within the thigh and lower leg muscles, hence the name, and may even to be life-threatening. Reddish, pale or bluish skin colour, particularly in the lower back leg. An unusually firm or thick vein in the lower-back leg. When blood moves slowly, it cannot mix properly with the naturally occurring anticoagulants. This promotes the formation of blood clots. Lack of motion due to prolonged bed rest and regularly sitting for long periods of time often results in slow blood flow. Blood that clots easily, usually due to an inherited blood clotting disorder, can also contribute towards Deep Vein Thrombosis development in some people. Blood clots can form when blood thickens around foreign objects like tissue debris or fat in the veins. These foreign substances can sometime be accidently released into the bloodstream during a lower-back surgery. Doctors often move aside tendons, ligaments, and muscles to reach the required operating area during a lower-back surgery. This can trigger the release of clot-promoting substances, hence resulting in excess clot formation. Elevated hormone levels, slow blood flow, and increased blood pressure in the pelvic and leg veins during pregnancy. This risk remains until 6 weeks after delivery. A cesarean delivery and a previous clotting disorder further amplify the risk. High estrogen levels due to birth control pills or hormone replacement therapy in women. Excess leg pressure due to obesity. At times, part of a clot present in the leg can break free and travel to the heart via the bloodstream. This rogue clot often gets stuck in a pulmonary (lung) artery and partially blocks the lung’s air and blood flow with possibly fatal consequences. PE may occur days later or soon after a blood clot forms in the leg and requires urgent medical attention. Symptoms of PE include sudden shortness of breath, chest pain that worsens with coughing or breathing deeply, rapid pulse rate, dizziness, lightheadedness, and coughing up blood. Due to lack of initial symptoms, PE is often the first sign of DVT in most people. A DVT blood clot can sometimes damage the valves (structures that control blood flow in the veins) by raising blood pressure in the veins. Blood starts collecting at the damage site, resulting in chronic, disabling calf pain even after the blood clot is dissolved. Other signs of post-thrombotic syndrome include edema (permanent swelling throughout the leg), and skin discolouration and sores in the affected part of the leg. Consult with your doctor for a proper diagnosis if you observe any signs of deep vein thrombosis. Seek immediate medical attention, however, in case of PE symptoms to avoid possibly fatal complications. You can also book an appointment with a top Cardiologist or a top Radiologist in Lahore, Karachi and Islamabad through oladoc.com, or call our helpline at 042-3890-0939 for assistance to find the RIGHT Doctor for your vascular concerns.